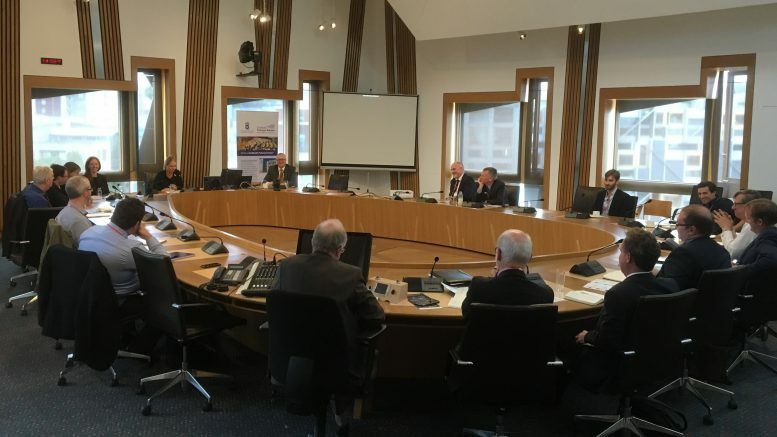 On 21 June 2018, Scotland’s Futures Forum hosted a seminar on the opportunities and challenges presented by the development of autonomous vehicles. 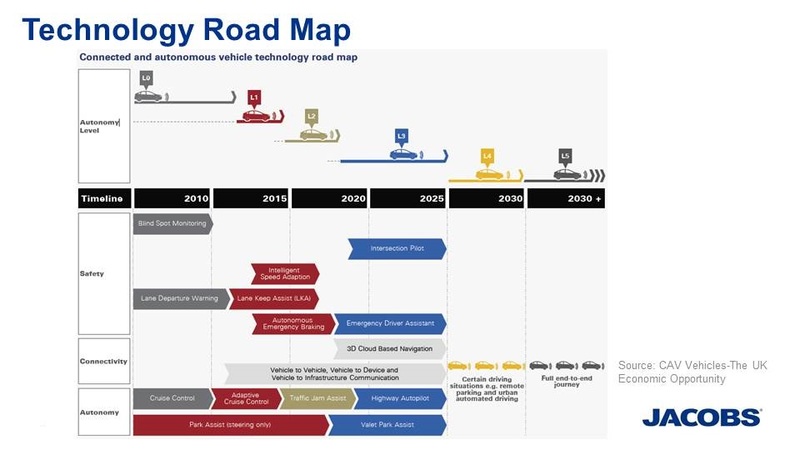 Sarah McCartney, Connected and Autonomous Vehicles Technical Manager at Jacobs, presented an overview of connected and autonomous vehicles (CAVs), covering the technology, expected timeframes and benefits and challenges. She also covered what is happening elsewhere in the world. As the technology develops, Sarah pointed to predictions of greater levels of autonomy being achieved, up to full automation at level 5. 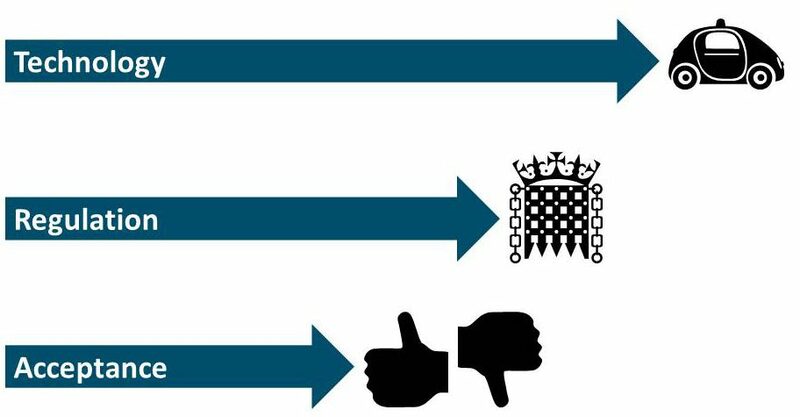 Sarah also talked through the benefits potentially presented by autonomous vehicles: in safety, by reducing human error; in society, by increasing accessibility and mobility for those less mobile; and in our economy, from reduced congestion and job creation. On the other side, challenges are seen in job losses in traditional industries; concerns regarding liability and issuing insurance and licences; the requirement to update existing infrastructure; and the current lack of security standards for data and cybersecurity. Finally, Sarah noted the work taking place on the issue throughout the world, with projects in the UK, other European countries, the United States and Japan, where there is a long-term strategy focused on the societal benefits of CAV adoption, embracing multiple sectors from health to tourism. Iain Forbes, head of the UK Government’s Centre for Connected and Autonomous Vehicles, provided an overview of what is happening at a UK level on the new technology. The electrification of everything, including modes of transport such as bicycles and skateboards. Iain also noted the three challenges that autonomous vehicles faced: the technology being developed, the regulation being drawn up and the public acceptance. Of those, we are possibly furthest along the road with the technology – public acceptance will be crucial. Andrew Davidson, national operations manager in Transport Scotland, provided an outline of the work taking place in Scotland. Andrew noted that Transport Scotland’s Future Intelligent Transport Systems Strategy had two connected themes related to this issue: intelligent mobility, and data, innovation and collaboration. With the First Minister’s stated ambition “to be the inventor and the producer, not just a consumer, of the innovations that will shape the lives of our children and grandchildren”, the aim is for Scotland to make the most of its position as a uniquely diverse test bed. From a 10-lane motorway through Glasgow and the SMART corridor at the Queensferry Crossing, to remote areas where cellular and digital communications are challenging due to terrain and geography, there are opportunities in Scotland to test vehicles and systems in a variety of situations that can only benefit the development of the technology. Kate Carpenter, discipline lead for operational safety and traffic engineering at Jacobs, provided an insight into the human reaction to technology including autonomous vehicles. Kate was particularly interested in how perception skews behaviour, and what that means for road design and operation. The key message to emerge was that human reactions to technology and design changes are not necessarily simple to predict, or useful for the development of autonomous vehicles. For example, we have removed white lines from the middle of roads as people drive more safely when they aren’t there. However, those lines are currently necessary for autonomous vehicles, so should we reintroduce them? Humans also mirror others’ behaviour, so in a situation where some vehicles are autonomous and connected (and therefore driving more closely together) human drivers also drive closer to other vehicles, increasing the risks of crashes. Overall, Kate suggested that, although CAVs will bring new kinds of accidents, they are likely to avoid most of the accidents that we have now and that the net effect is likely to be positive.